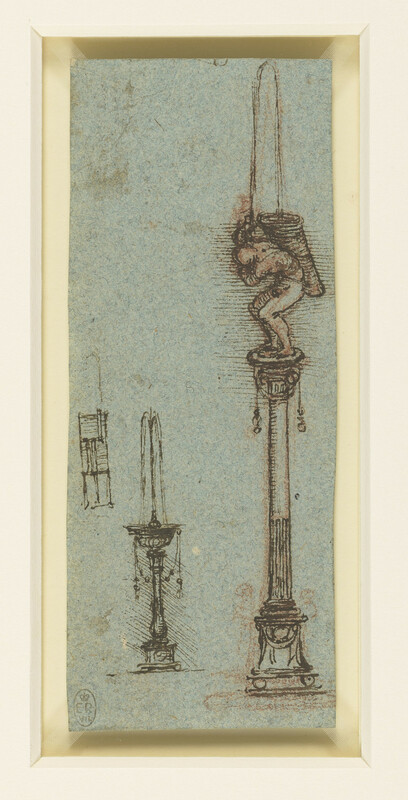 Two drawings of a 'Heron's Fountain', designed as an Ionic column on a base. On the capital stands a naked man bent forward under the weight of a huge basket. Water is squirted from a pipe in his hands into the basket.